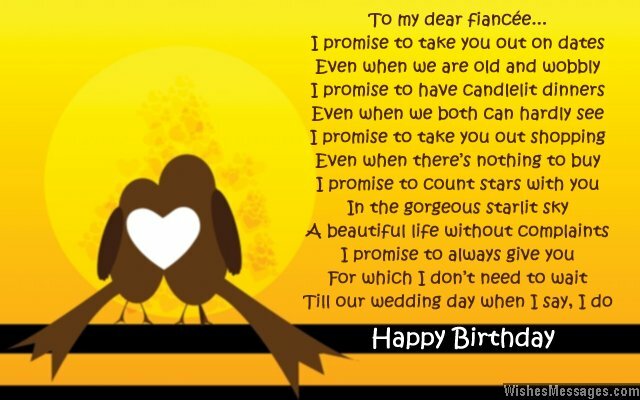 Birthday poems for fiancée: Your fiancée’s birthday is a special celebration on which she deserves to be pampered like a queen. 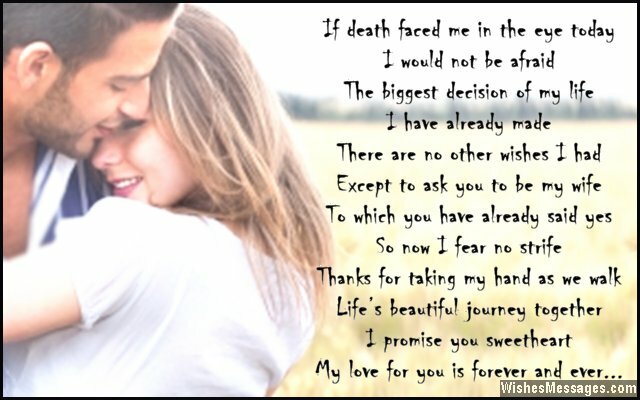 Summarize your love for her in a sweet poem and write it down on a beautiful greeting card to wish her a Happy Birthday. Have a blast as you celebrate your to-be wife’s birthday. Give her a glimpse of how cool life will be after getting married to an awesome husband like you. Engagement is the period between the time you knelt down on your knees to propose and the time when you say I do. It is supposed to be the most romantic phase of your life together. Cute cuddles, naughty tugs, funny moments and the most priceless memories – make sure you experience all of these as you take the first steps towards becoming joined at the heart and soul eternally.